Books Over Balls has established a collaborative partnership with M.V.P Training to provide Workforce Development; College/Career Readiness; Social-Emotional Learning for all the young men who participate in our program. Kordero’s Dream - M.V.P. Training Foundation (known simply as M.V.P. Training) is a 501c3, public charity established to equip urban young men ages 12-20 for higher education, employment and economic performance to ensure their contribution to society! Founded upon the biblical principle, “TRAIN UP A CHILD …” (Proverbs 22:6), Kordero's Dream partners with schools, churches and organizations in urban communities to provide M.V. P Training for local young men ages 12-20. M.V.P. Training is a 40 hr. 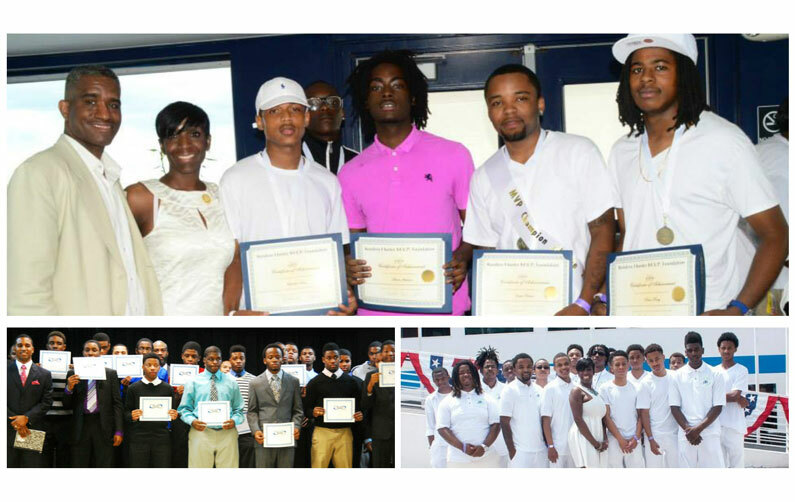 performance ready program that equips urban young men with the knowledge, skills, abilities and motivation for higher learning matriculation. Young men participate in instructional and practice-based learning to develop the competencies to achieve higher education, employment and pay (i.e. economics). Through M.V.P. Training, young men build 21st Century soft skills such as SMART goal setting, time-management, decision-making and problem solving. They learn positive behavior interventions such as reframing distorted thinking, code switching, expressing feelings and empathy. They gain college and career planning knowledge including FASFA workshops to make informed post-secondary education options. M.V.P. Training is based on the simple premise: THE MORE COMPETENCE, THE MORE EARNING POTENTIAL (i.e. VALUE) TO CONTRIBUTE TO THE WORKFORCE, ECONOMY AND SOCIETY!